But his response was a real treat. The art department is a bunch of show-offs. 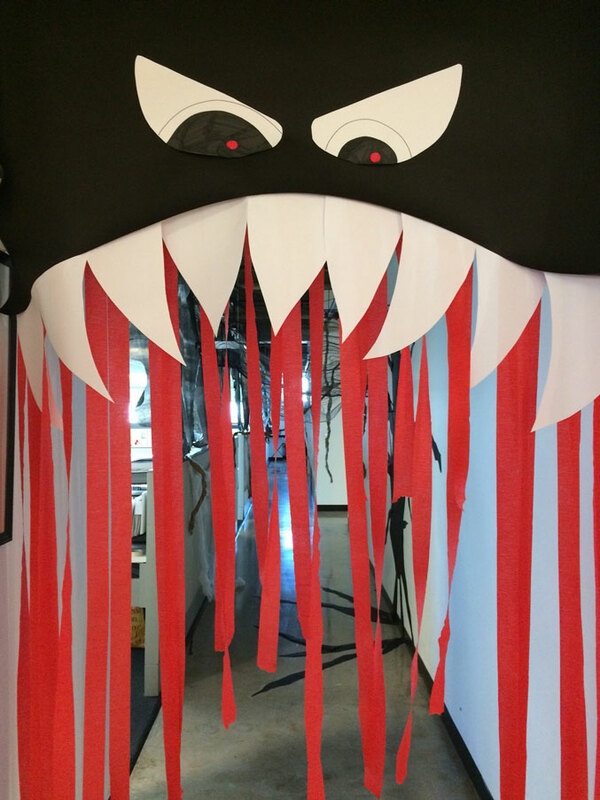 Things are spooky around the D offices today. The art department has created an intricate haunted forest. DCEO has been overrun by rats and covered in blood splatters. The web team is ensconced in, of course, webs. And the D Mag pod has reluctantly donned bloody scrubs and displayed a grotesque severed foot in homage to two recent stories. But the scariest moment came a few minutes ago when Tim Rogers’ dad, Gary, who is visiting the office, got up out of his seat, walked over to Tim with the November issue in hand, and whacked his son upside the head. Not that Gary needed a particular reason, but he had been reading Tim’s feature, “Sydney Durso Is That Blond Cheerleader You Want to Hate (But Can’t).” The story isn’t online yet, so you’ll need to turn to page 77 of your issue to see what Gary was so wound up about. Gary had just gotten to the third paragraph on the page, which is where most of the editors in the office threw up in their mouths a little before realizing that Tim was playing a trick. But Gary wasn’t disgusted by, among other things, the sweet potato paste smell that freaked out the rest of us. Instead, he was horrified that his not-so-grammatically correct son had randomly switched from the first person to the third person. Then he realized the trick. And smacked his son upside the head. Re-reading the paragraph still makes me a little nauseous. But the rest of the story, and Gary’s reaction, are treat enough.